The WMSFA Library website will be changing this year to a form preferred by Library Media Services. I will be receiving training in the use of a platform called "LibGuides" next week, and I'll try to have the new website up quickly! The old website is still available but has not been updated. This first 6 weeks of school has been SO BUSY! Mrs. Roseberry was out until September 8, so I was on my own for almost a month. It's been so much fun to meet our new sixth grade students, and to see all of our old friends again. I truly missed these folks over the summer! Circulation is way up; in the first month of school, we checked out or renewed some 1,300 books! We received $1500 worth of new books that needed to be processed, as well as gifts of another 15 or 20 books. Set up book displays for new books, and new paperback books. 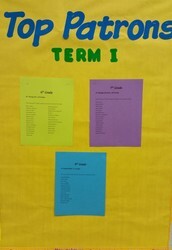 Conducted orientations for all language arts classes, and scheduled regular library times. 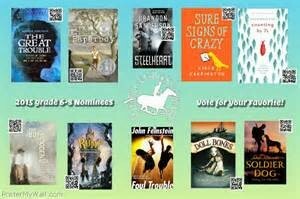 Set up display for Kentucky Bluegrass Award nominees. 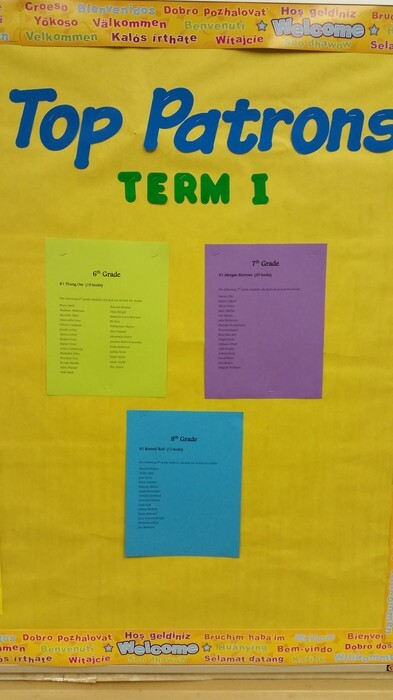 Next term: See how many biographies you can read! Plan and implement Halloween Book Exchange. Start "Bingo for Book Fair Bucks!" Continue weeding the biographies and 900s. Send out lists of new books to teachers.